Get lost at Hackathons? Grab a crowd-sourced map. We arrived at the Hackathon, got lost, and had no idea where to put our stuff or where to pee. 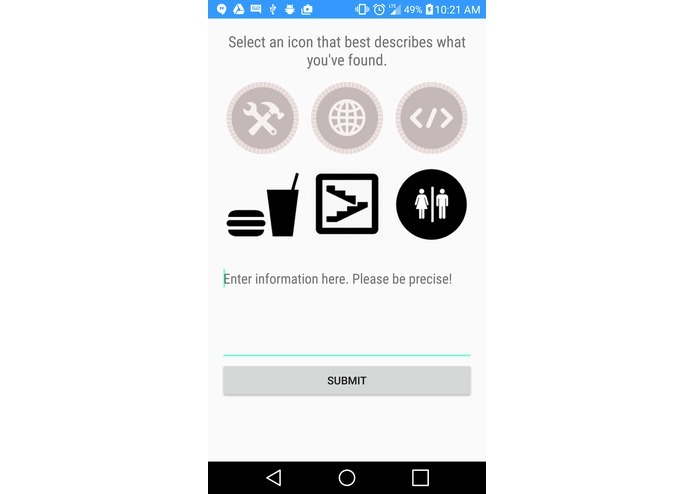 We were easily inspired to create an app that assisted us finding all these locations without having to ask anyone. 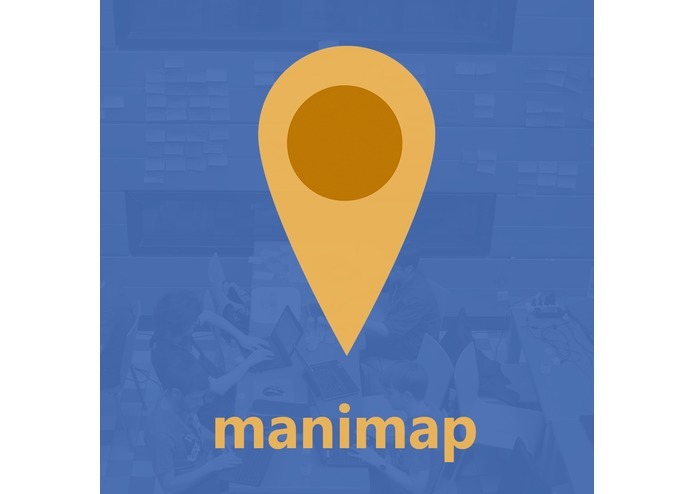 Manimap is a real-time, crowd-based contribution map that allow the user to find key locations as bathrooms, food spots, sponsors, and staff-tables around the Hackathon. It can technically be used for absolutely any big event since its easy to set up and very easy to distribute to the guests so everyone can know where everything is. 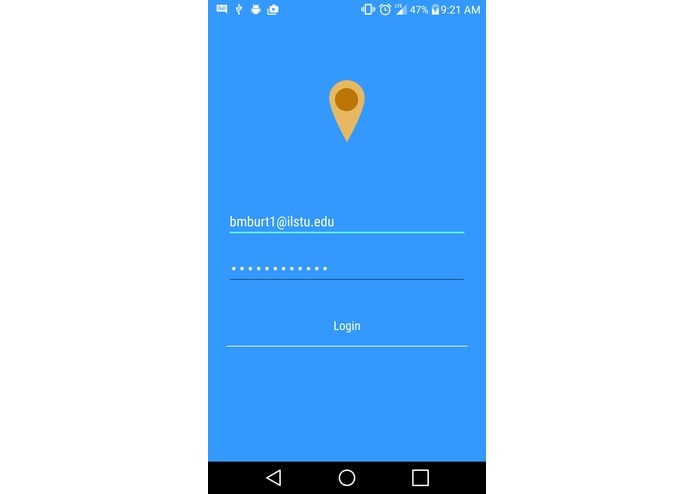 We used a combination of technologies such as Google Maps API, Android, AngularJS, and Firebase. 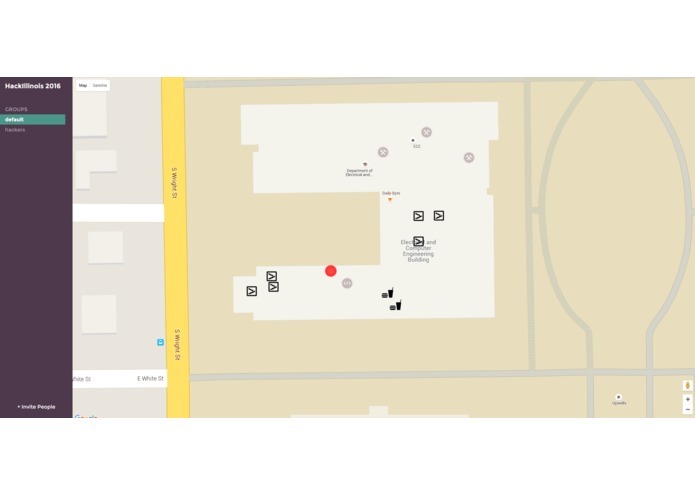 We first attempted to do real-time GPS locations inside the building. However, we found these to be somewhat unreliable since the user's location would vary within a one-mile radius. Instead, we just made a crowd-based contributed map. We also had some trouble doing the Angular routing for the web-app version of Manimap. Everyone was able to contribute a piece of work. There were many technologies that we never used like Firebase, NoSQL, android wear SDK, and the google maps API, that we were able to work with after a tough time and succeed with. 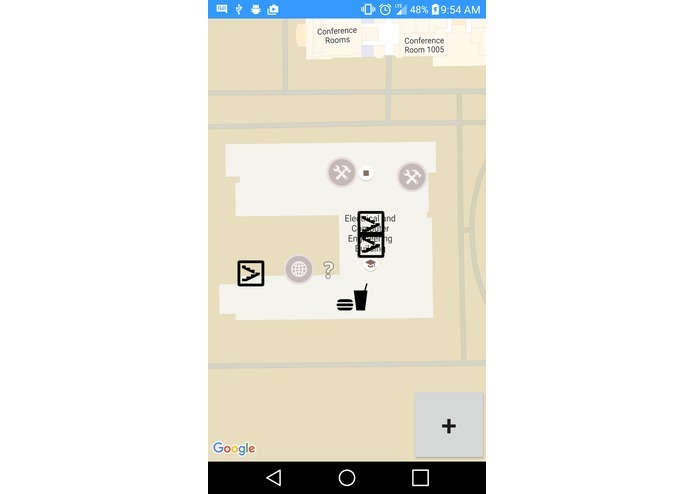 The world is in need of indoor positioning systems for very accurate location in buildings or certain areas. Beacons are currently the best solutions for this problem but they can be very expensive and not very friendly to set up. 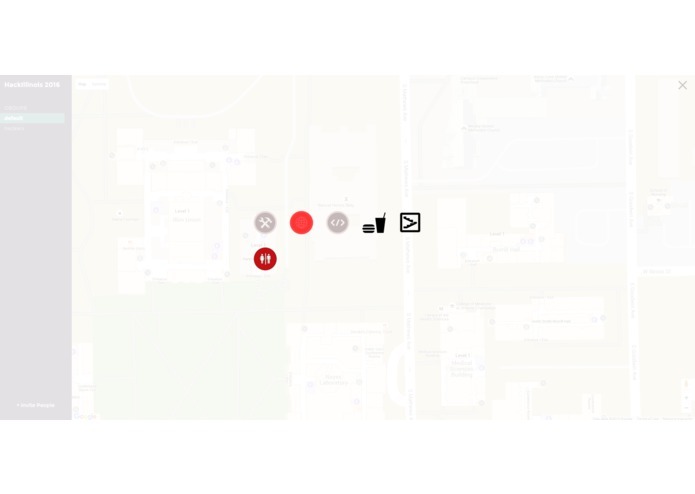 We will expand Manimap to be used for all big events, add on more user friendly features, and think of a way to improve location accuracy for better usage. I worked on the frontend and DB! 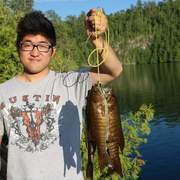 I built the webpage with angular, created the schema in Firebase and connected them! This user has not provided a bio.